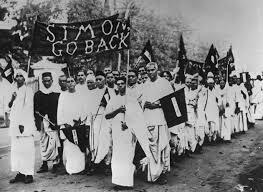 It was a pleasant late winter day on Friday, 3rd February 1928, when members of the 7-member Indian Statutory Commission, led by Sir John Simon, arrived at Bombay on the west coast of India. Members of the Commission were confronted by protesters waving black flags. Few would have imagined then, but the forces they inadvertently set in motion that day would have a profound impact, the effects of which continue to haunt the sub-continent to this day. As we have seen earlier, Indians expected greater devolution of powers from the British rulers after the end of the first world war, to which they had contributed more than a million soldiers. The British government, unwilling to grant any substantial concessions, enacted the Government of India Act, 1919. The act resulted in a bicameral legislature consisting of the 145 member Legislative Assembly (of which 103 would be elected) and the 60 member Council of State (of which 22 were elected). The right to vote was subject to several restrictions, due to which the voter base for the Legislative Assembly was restricted to 9,09,874 voters in 1920 (representing roughly 1% of the then population of India). 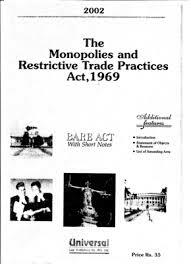 Largely unnoticed at the time was Section 41 of The Act, which mandated the creation of a commission to conduct an inquiry into the system of Government, the growth of education and the development of representative institutions in India. This commission was to be constituted after 10 years from the enactment of The Act, which meant that it was due in December 1929. The British government decided to advance it by 2 years with dubious intentions, as we shall see. By 1927 the struggle for independence (insofar as there was any struggle still underway) was all but dead. The period between 1920-22, when the Non-Cooperation Movement briefly threatened to bring an end to British rule, were but memories of another time. Having withdrawn the Non-Cooperation Movement in the face of multiple outbreaks of violence (more about that at a later date), M.K. Gandhi had gone into semi retirement from active politics. Without his unifying leadership, the national movement was drifting like a rudderless ship. Only a handful of underground revolutionaries were still active. …until the British government gave the virtually dead struggle a new lease of life. Elections to the British House of Commons were due in 1929. The Conservative Party, which was in power in the late 20s, faced the prospect of losing power to the Labour Party in the 1929 elections . The Conservatives feared that a Labour government would be more sympathetic to Indian demands and thus likely to concede far greater reforms than they were willing to countenance. In order to forestall that possibility, the Conservatives decided to advance the constitution of the Commission to ensure that its work would be completed before the 1929 elections. 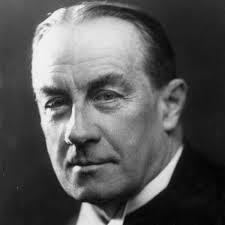 And so on 8th November 1927, Prime Minister Stanley Baldwin announced the constitution of the statutory commission. If Indian leaders were astonished to hear the announcement, their surprise soon turned to indignation when Baldwin announced that the commission would consist of 7 British members of parliament. In other words, the commission that was to help prepare the future constitution of India did not contain a single Indian member. Whether it was due to arrogant disregard for Indian opinion or plain incompetence, the composition of the commission was bound to be unacceptable to any self-respecting Indian. I do not think a worse challenge has been thrown out ever before to Indian nationalism… if our patriotism is a prejudice and if the patriotism of of the seven members of parliament is to be treated as impartial justice… we are not going to acquiesce in this method of dealing with us. Neither our self-respect nor our sense of duty to our country can permit us to go near the commission. With one ill-advised decision for short term gains, the Conservatives had strengthened the hands of the very forces they sought to forestall. 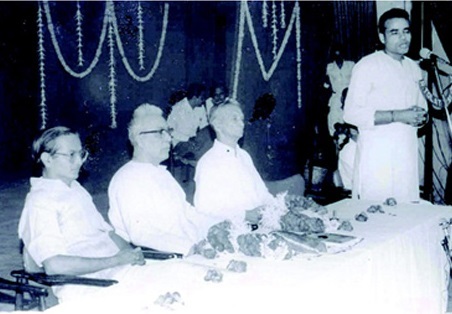 The 42nd annual session of the Indian National Congress was to be held at Madras between 26th and 28th December 1927. the party- energised by the unexpected developments of November- moved a proposal to adopt dominion status as its ultimate goal, which was in keeping with the general mood of the moderate faction led, among others, by an eminent lawyer from Allahabad called Motilal Nehru. 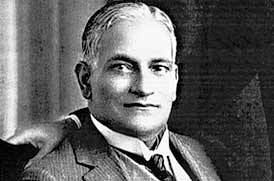 The younger section led by Motilal’s son, a 38 year old lawyer called Jawahralal Nehru, opposed the resolution and moved a counter-resolution demanding complete independence (while they abstained from voting). Unexpectedly perhaps, the resolution was passed unanimously. With its cadre spread right down to the grassroots (owing to structural changes initiated in the early 20s), the involvement of the Congress took the proposed boycott to an unprecedented level. There was a complete hartal in every city across India on 3rd February. The commission was greeted by protesting crowds waving black flags and carrying banners with the words “Go Back, Simon” wherever it went. 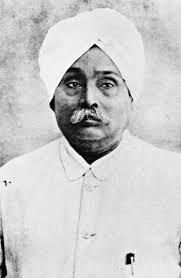 On 16th February, Lala Lajpat Rai moved a resolution in the Legislative Assembly calling for a refusal to cooperate with the commission (his tryst with the commission would ultimately lead to his tragic death later that year). The resolution was passed by an overwhelming majority of the elected members. Extraordinarily, the passing of the resolution was accompanied by cries of “Bande Mataram” in a chamber usually known for its loyalty to the British rulers. Secretary of State for India, Lord Birkenhead had thrown down a challenge calling on Indians to produce a constitution having the general support of the people of India. This was back in July 1925. While announcing the constitution of the statutory commission, he renewed the challenge. I have twice invited our critics in India to put forward their own suggestions for a constitution. That offer is still open. Indian leaders decided to accept the challenge. After a series of deliberations, it was ultimately decided to entrust a committee under the chairmanship of Motilal Nehru. The committee’s report was placed for consideration at the All Parties Conference in Lucknow in August 1928. Lack of unanimity resulted in the ‘Nehru Constitution’, as it came to be known, being placed before a representative convention in Calcutta on 22nd December. The Muslim League and a section of the Khilafat Committee, led by a prominent Bombay lawyer called Muhammad Ali Jinnah, proposed certain amendments to the communal settlement proposed in the Nehru constitution which were rejected after an acrimonious debate. Prompting Jinnah to withdraw from the convention in protest. The disillusioned Jinnah threw in his lot with the Aga Khan and Sir Muhammed Shafi. The joint front demanded, among other things, separate electorates for Muslims in statutory bodies. The last days of December saw Congress delegates from all corners of the country converge for the annual session in Calcutta. It soon became evident that the party was deeply divided between the faction whose ambitions for the immediate future were restricted to dominion status and the extremists, whose immediate demand was nothing short of complete independence. M.K. Gandhi proposed a compromise, suggesting that Dominion Status be laid down as the immediate objective, subject to the Nehru constitution being accepted in its entirety by the British parliament within a year. The left-wing extremist faction led by the party’s rising stars Jawaharlal Nehru and Subhas Chandra Bose (who enjoyed an excellent relationship back then) strongly opposed the proposal. The amendment was lost by 973 votes to 1350. For the time being at least, the country’s largest political party had declared dominion status (akin to Australia or Canada) as its ultimate objective. The ball was now firmly in the court of the powers that be in Westminster. 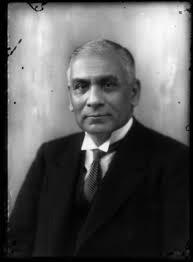 The Viceroy of India, Lord Irwin, issued a statement on 31st October 1929, that the natural issue of India’s constitutional progress was the attainment of dominion status. The declaration was widely appreciated by Indian leaders. But the drama was far from over. 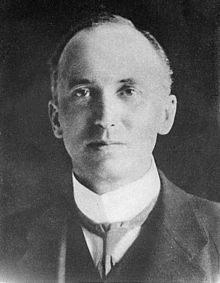 Lord Irwin, whose name changed to Lord Halifax became the secretery of state for foreign affairs in 1935. 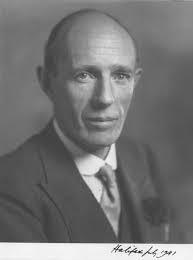 In his new avatar as Lord Halifax, he would be instrumental in executing prime minister Chamberlain’s policy of appeasement of Hitler, leading to the infamous Munich Agreement in 1938 that paved the way for Hitler’s bloodless annexation of Czechoslovakia. So many articles have been written about the emergency over the last few weeks, that there’s little left to be said about it. However, none of them have adequately explained the factors that led to it. In this series of articles, we shall recount the events of the early and mid 70s which led to the imposition of the emergency. for a clear understanding of the events of that fateful period, we shall first recall the political and economic situation in the 70s. As we saw in the previous article, a series of electoral reverses in 1967 consigned the Congress to a slim majority at the centre and to the opposition benches in several states. The opposition had a field day during that period, helped in no small measure by the prime minister’s lack of experience. But the early 70s saw a spectacular turnaround. Thumping electoral wins at the centre in 1971 and several states in 1972 had completely reversed the debacles of 1967. Indira Gandhi’s control over the Congress (R) (as the party was now known- more on that at a later date) was absolute. Regional satraps had been systematically destroyed and the ‘high command’- a euphemism for Mrs. Gandhi and her kitchen cabinet- took all decisions. The dramatic turnaround was largely due to the गरीबी हटाओ (eliminate poverty) campaign in 1971 with Indira Gandhi at the vanguard, which had raised impossible hopes- a fact that would come back to haunt Mrs. Gandhi and her team. The opposition space lay in shambles. Stalwarts like C.Rajagopalachari, Ram Manohar Lohia and Deen Dayal Upadhyaya, who had lent credibility and substance to the opposition had all passed away and there was no opposition leader even remotely approaching their stature. With the dramatic reversal of fortunes after the heady days of 1967, the non-Congress opposition would have been forgiven if they feared being condemned to a life of insignificance. It was but natural that they would grab the first opportunity coming their way to unseat the government. That opportunity came sooner than they could have possible expected. It would be an understatement to say that India’s economy in the mid 70s was in shambles. The war against Pakistan in 1971 had left the treasury virtually bankrupt. Economic growth had steadily declined over the years: from a CAGR of 2.1% from 1954-64, per capita income grew at a pathetic 0.6% from 1967-73. Industrial production, which had grown at around 9% between 1961 and 1965 had slipped to 2.8% by 1973. The number of unemployed youth registered in the employment exchanges more than tripled from 2.6 million in 1966 to 8.4 million by 1974. The situation was further compounded by droughts in 1972 and 73, resulting in severe foodgrain shortages that naturally led to runaway inflation. The inflation rate was a whopping 22% in 1972-73 (more than double the inflation rate during the UPA II years!). Then came the oil shock of October 1973, which sent crude oil prices shooting through the roof. India, with its dependence on imported crude oil naturally felt the impact (as it would do four decades later) of rising oil prices. By mid 1974, inflation had hit a scarcely believable 30%. Not surprisingly, popular discontent was rife. To be sure, there’s precious little that any government could have done about it. Unfortunately for India, the government’s disastrous economic policies had successfully throttled the private sector, making economic recovery all but impossible. Worse still, Indira Gandhi- whose power over the party was absolute- effectively institutionalised corruption, which made day to day life even more difficult for the common man. 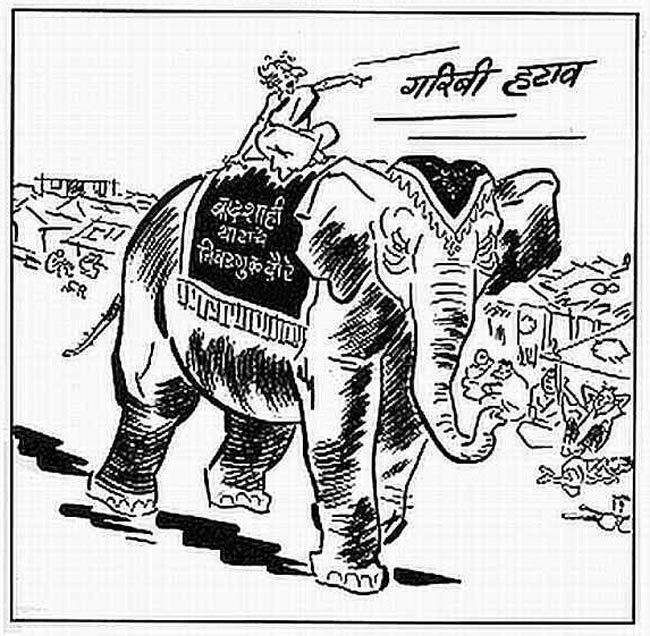 Having raised expectations sky high with the गरीबी हटाओ (eliminate poverty) campaign in 1971, she naturally felt the ire of the masses now. 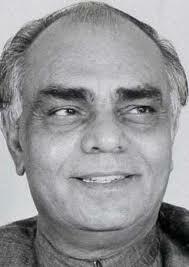 The chief minister of Gujarat at the time was Chimanbai Patel, who had toppled his predecessor (and fellow Congressman) Ghansham Oza in July 1973, much to the displeasure of Indira Gandhi, who had handpicked Oza for the post. Nonetheless, there was work to be done and Mrs. Gandhi assigned Patel the responsibility of collecting funds to be used in election campaigning, as elections in the states of Uttar Pradesh and Orissa were on the cards. 1973 was a particular difficult time in Gujarat. Acute food shortages had resulted in food prices increasing by 100% during the course of the year (no typo there!). Patel compounded the woes of the common man by extracting lakhs of rupees from groundnut oil traders, giving them a free hand in return. The cooking oil mafia (known at the time as “cooking oil kings”) sent groundnut oil prices spiralling beyond the means of the common man. Inevitably, popular discontent was on the verge of boiling over, earning the chief minister the name चिमणचोर (Chiman the thief). On Thursday, 20th December 1973, students of Lalbhai Dalpatbhai Engineering College went on protest against a substantial increase in mess charges. In an era when political violence was rampant, the protest (inevitably perhaps) took a violent form, as the students set the college canteen ablaze and attacked the rector’s house. The authorities, rather foolishly, dismissed it as an instance of stray violence. Their delusions would soon be shattered. Two weeks later, on 3rd January 1974, the students went on strike again. This time hostel and college furniture too was destroyed. The college authorities called the police. Scores of students were arrested and hundreds beaten up. The news of the police violence (magnified, one imagines, several times over) quickly spread around in the student community. In the surcharged atmosphere, the news was the straw that broke the camel’s back. Students of the colleges and high schools in Ahmedabad went on strike. The demands of the striking students came to include resignation of the education minister and arrest of the hoarders and black marketeers responsible for the price rise. The Congress government instantly developed cold feet, releasing all the students who had been arrested, but doing nothing to address the other demands. The government’s half-baked, bumbling attempt was inevitably seen as a sign of weakness by the emboldened students, who smelt blood. A week later, on 10th January 1974, the student leaders called for an Ahmedabad bandh. School and college teachers, bank workers, middle class people and (far more significantly) all opposition parties threw in their lot with the students. Large scale rioting ensued. The authorities predictably replied with even greater force. Far from dying down, the protests spread to all major cities in the state. The presence of the RSS and its student wing- the Akhil Bharatiya Vidyarthi Parishad (ABVP) gave the student movement the dual benefit of a dedicated, efficient cadre supporting it as well as organisational support. Needless to say, the presence of the ABVP gave what was until then no more than a student protest, fresh impetus as well as a new direction. The students announced the formation of a नवनिर्माण युवक समिती (Navnirman Yuvak Samiti– youth committee for regeneration)- an organisation dedicated to waging a non-violent struggle to achieve, among other things, purification and rebuilding of society. The list of demands issued by the samiti now included resignation of the hugely unpopular chief minister Chimanbhai Patel and dissolution of the state assembly (the Congress held 140 seats in the then 168 member Gujarat state assembly, which was expanded to its current capacity of 182 members in 1975). With no sign of their demands being met, the samiti called for a statewide strike on 25th January. 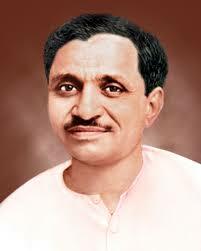 Owing to popular discontent, the strike was astonishingly successful across most towns and cities in Gujarat. With violence virtually paralysing the state of Gujarat, Indira Gandhi bowed to the inevitable. Chimanbhai Patel resigned from his post on 9th February 1974. To drive home their demands, the students started using far more militant methods. State assembly members were convinced or coerced to resign their posts through a combinations of gherao, destruction of property and public shaming- in one extreme instance, a Congress leader was stripped and paraded naked. Nearly all opposition legislators and as many as 40 Congress MLAs had resigned before the end of February. 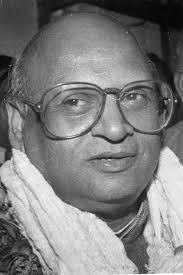 One of the most vocal opposition members calling for the dissolution of the assembly was, ironically, Chimanbhai Patel. Angry and disillusioned after being ditched by his leader, he had by now formed a new political party. The last straw came in the form of veteran leader Morarji Desai who, as we have already seen, had scores to settle with Indira Gandhi. On 11th March, he went on an indefinite fast demanding the dissolution of the state assembly. After playing the waiting game, Mrs. Gandhi finally bowed to the inevitable and dissolved the state assembly. Gujarat came under presidential rule and fresh elections were announced, to be held in September 1975 (when they were due anyway). Desai started a second fast unto death in April 1975, compelling Indira Gandhi to advance the Gujarat state assembly elections to June 1975. A 23 year old RSS pracharak called Narendra Damodardas Modi rose to prominence in the RSS ranks with his tireless work in support of the Navnirman Samiti, earning himself the ‘workaholic’ tag he carries to this day. Never before or since has a democratically elected government with a clear majority in the assembly been forced to quit before its term in the history of independent India. Chimanbhai Patel returned to become the Chief Minister of Gujarat in 1990 with outside support from (incredibly) the Congress party. 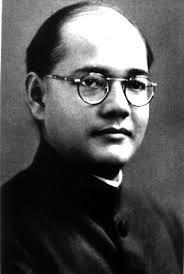 He retained his position until his death in February 1994, by which time he had rejoined the Congress.